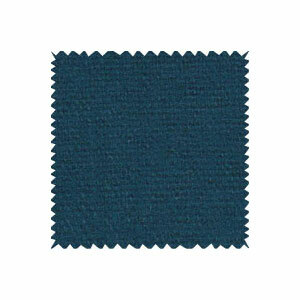 The flannel fabric is a kind of soft wool fabric with fleece made by woolen yarn. It was first produced in Welsh UK in 18th century. 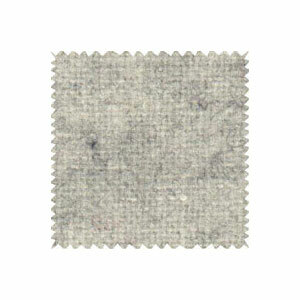 In China, the flannel fabric refers to the woolen fabric with flowers made by blending woolen yarn. 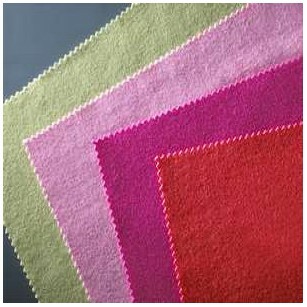 Its surface of woolen cloth has a layer of clean fluff, no texture with smooth softness. It is thinner than melton fabric. Flannel is a soft and fuzzy fabric made of cotton, cotton blend or wool. Flannel fabric is thick durable and warm-keeping. It absorbs and releases perspiration. Moreover, it is also a good bedding material. Flannel fabric is elastic and has good draping properties. Because flannel is made in tightly woven twill or plain weave, it is finished with a light to hi napping either on one side or both. Meanwhile, the nap is achieved by brushing the fabric with non-direction. Moreover, Flannel varies in closeness or firmness of the weave and in the degree of napping. For example, a French flannel is very fine twill-weave and slightly napped on the right side while suede flannel is napped on both sides. Either the plain weave or twill weave is used for the manufacturing of flannel fabric which is hidden by napping on both sides. Now, the degree to which the napping is done can be low to hi. If the degree of napping in flannel fabric is high and then the weave will not be visible. Napping of flannel is done after weaving and after bleaching or dying. The flannel fabric is soft due to loosely woven fabric so that it can make sleepwear, bed sheets, shirts, pajamas and other clothing. 3. It is with bulky hand and good drape. 4. Flannel is dull-surfaced and scratchy. 5. It absorbs and releases perspiration quickly. The flannel fabric is used as blazers, jackets, trousers, women's suits, men's suits, shirts, flannel pajamas, flannel pants, sleeping garments, work gloves, linings, coverings, and sheets flannel. We are professional manufacturer and supplier of woolen fabric in China. We have been producing and selling products for 15 years with good after service. Moreover, our factories can design process and produce products with meeting the needs of customers as well as offer OEM service. Our company offers a variety of woolen fabric products, such as melton fabric, flannel fabric, velour fabric, overcoat fabric, tartan fabric (plaid fabric), twill fabric, houndstooth fabric, herringbone fabric, and jacquard fabric. Our factories produces 1million meters wool fabric, 10,000 tons chemical yarn, 40,000 tons tinplate, and 50,000 tons aluminum profile per year. Wherever in Europe, North America, South America in the Middle East or in Africa or south-east Asia have our customers. The product has won great favors from vast customers with its excellent quality. The product has won great favors from vast customers with its excellent quality. If you need flannel fabric, please contact now.